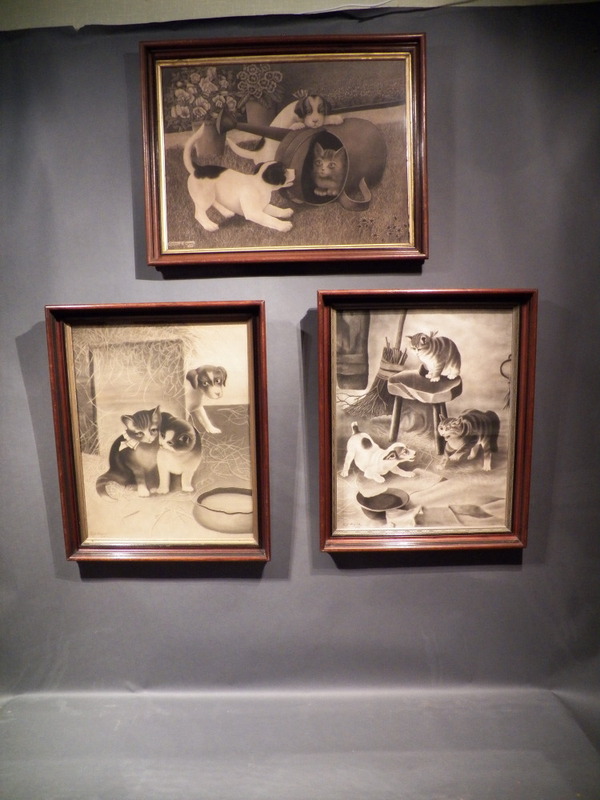 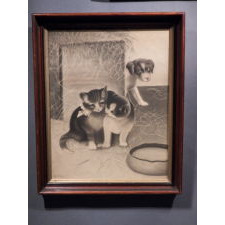 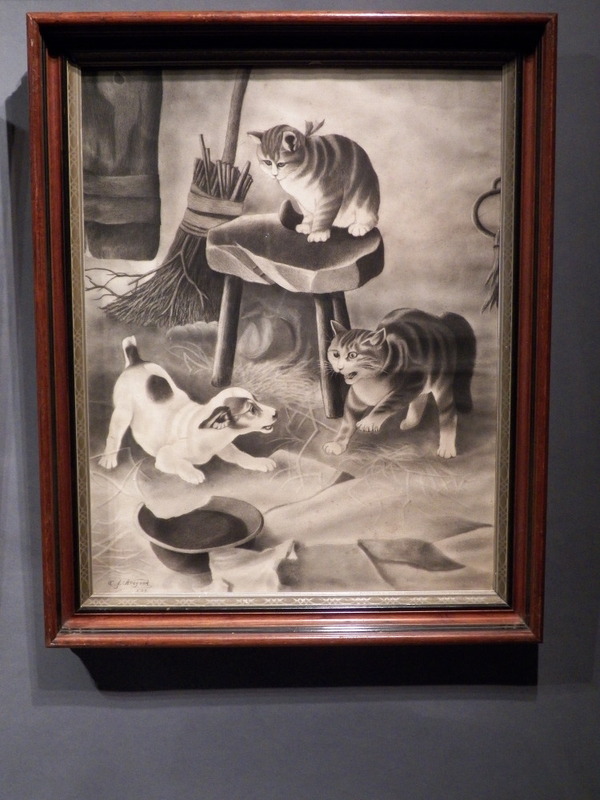 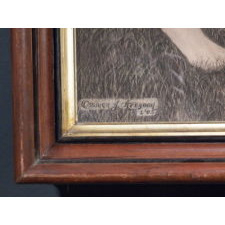 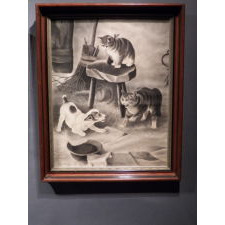 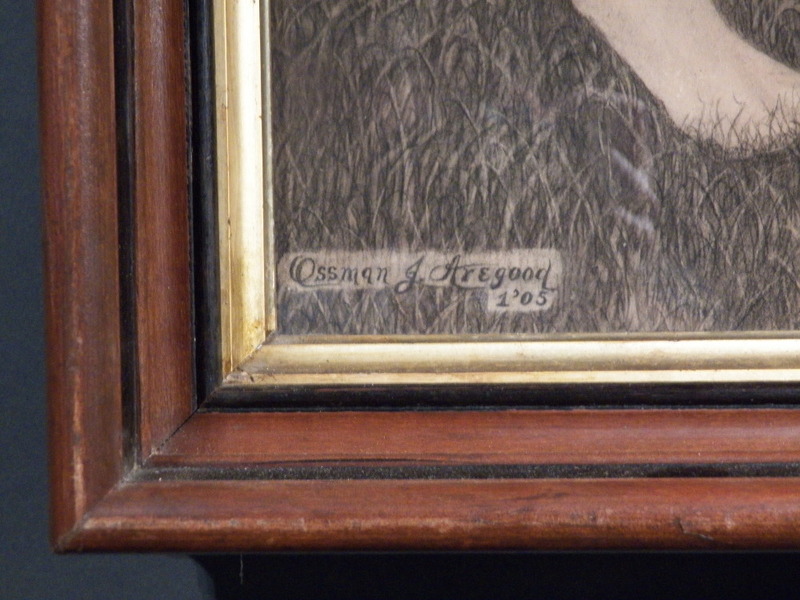 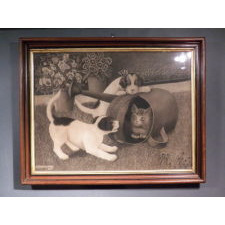 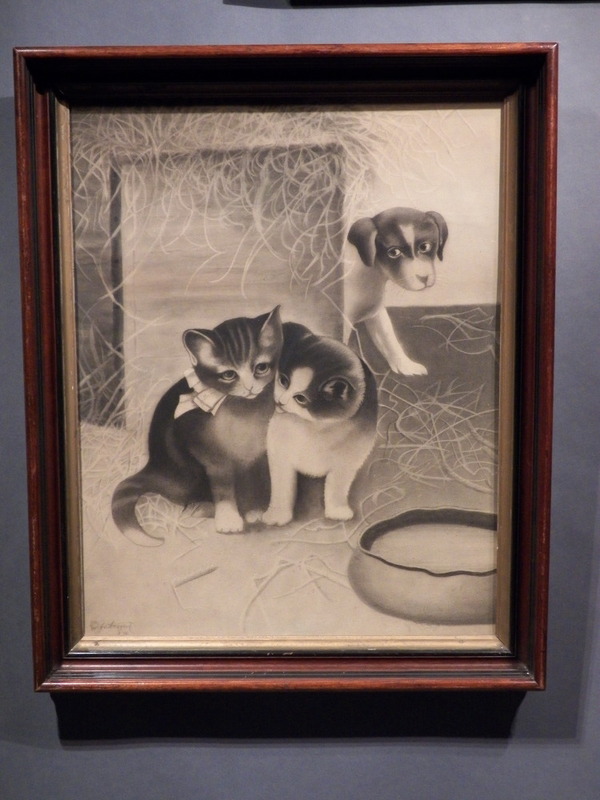 Group of 3 folkly charcoal drawing, whimsical scenes of cats and dogs playing together. 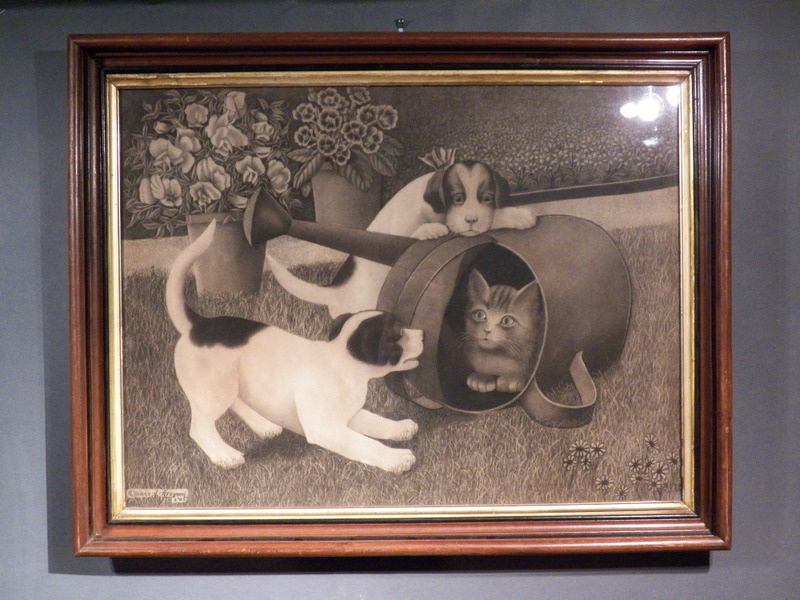 Charming and life-like expressions. 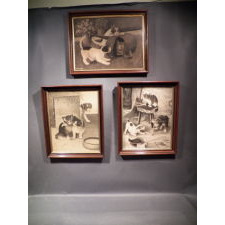 Measurements All About 32" by 26"